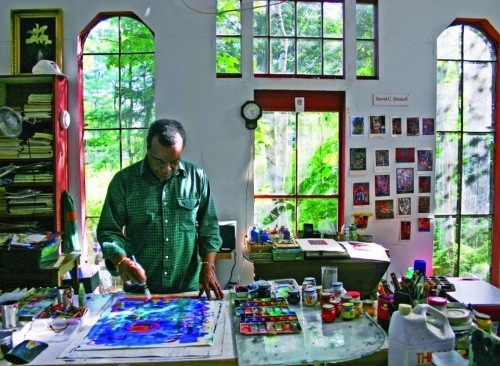 Highly regarded as both an artist, curator, educator and scholar of African-American art, David Driskell primarily works in collage and mixed media, and printmaking. Abstracting the figurative and narrative elements in his work, Driskell reflects on his childhood growing up in North Carolina and the Maine landscape. Having summered in Falmouth since 1961, Driskell was first introduced to the state while attending the Skowhegan School of Painting and Sculpture in 1953.